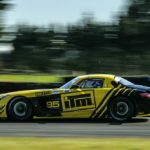 The Dayle ITM Mike Racing team’s three-hour race at Mike Pero Motorsport Park was unfortunately all over before it really got going yesterday, at the second round of the Carter’s Tyres South Island Endurance Series. 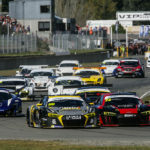 After less than 10 laps on the Ruapuna circuit, near Christchurch, team driver Christina Orr-West was forced to pull off into the pits with a torque..
A second win in the Carter’s Tyres South Island Endurance Series Three Hour race for the Neil Foster/Jonny Reid Audi R8 was the result of a hard-fought battle at the Mike Pero Motorsport Park just outside of Christchurch on Saturday. 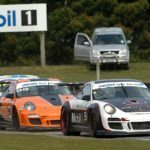 Taking the win was never certain until the drop of the chequered flag with pressure from the second placed Aston..
A five-second penalty was not enough to make a dent in the win by Mark Whittaker at the second round of the One Hour Carter’s Tyres South Island Endurance Series. 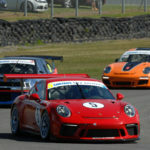 Adjudged to have followed an incorrect restart procedure, Whittaker still won comfortably by 17 seconds from BNT V8s driver Nick Ross (Ford Boss Mustang) ahead of Rowan Shepherd (Porsche 997..
It’s another bumper field as the 2018 Carters Tyres One Hour Race Series heads into its second round at Mike Pero Motorsport Park Ruapuna on Saturday 29th September, with a field of nearly 50 cars set to take the starters lights. 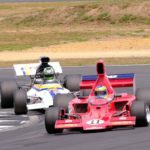 Entries have been received from all manner of machinery and range from late model factory race cars through to..